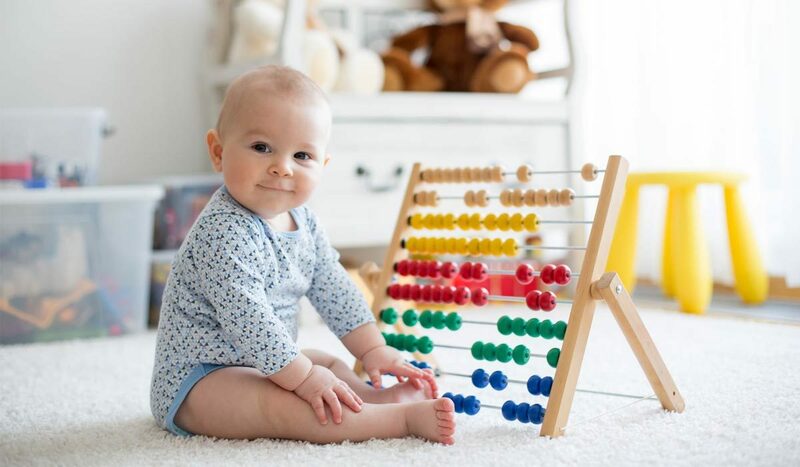 Do babies need toys in their first six months? What could be better than going shopping full of anticipation for your expected newborn? Some nurseries look like a warehouse even before the baby comes into the world. And after the birth friends and family give toys in all sizes and materials, from rattles to teddy bears. But what do babies really need to play with in their first months? And which baby toys encourage development at the same time? In the first few months new-born babies acquire many new skills, such as grasping and seeing. They investigate people and the properties of all objects in their environment. They familiarise themselves with things that are still unknown using their mouths, eyes and hands. In the beginning they are so busy discovering their own bodies and what these are capable of that only a few select baby toys are needed. Small, colourful grabbing toys, pram chains and pacifier chains with a variety of wooden figures, or even with little bells, are ideal at this stage, because these are an adventure for all the senses. Babies can learn about shapes, colours and sounds by playing with them. 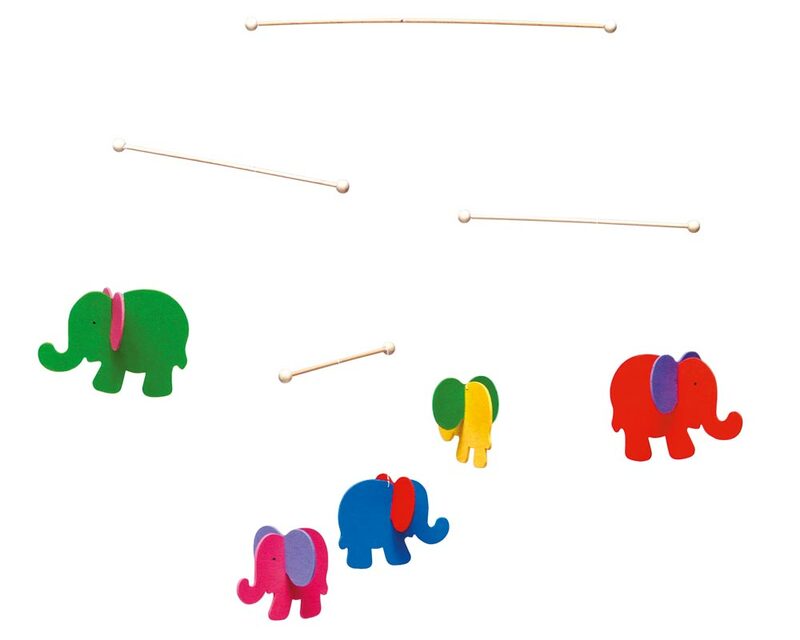 Colourful mobiles can also provide great entertainment: they can be hung over the cot, where they gently move around. Important: they must be mounted securely and high enough to be out of reach of small hands, but also low enough to allow the baby to watch them easily. By about the third or fourth month, babies are grasping for things with ever more confidence and purpose. From this point on it is worthwhile offering small balls, rattles with handles or cuddly toys as well as grabbing toys. As far as possible you should provide different structures and textures, because an interesting feel encourages active touching. At around four months, babies who are lying on their stomachs can do mini push-ups, supporting themselves with their arms in order to lift their head and shoulders from the floor. They can also roll from their stomach onto their back and back again with increasing confidence. 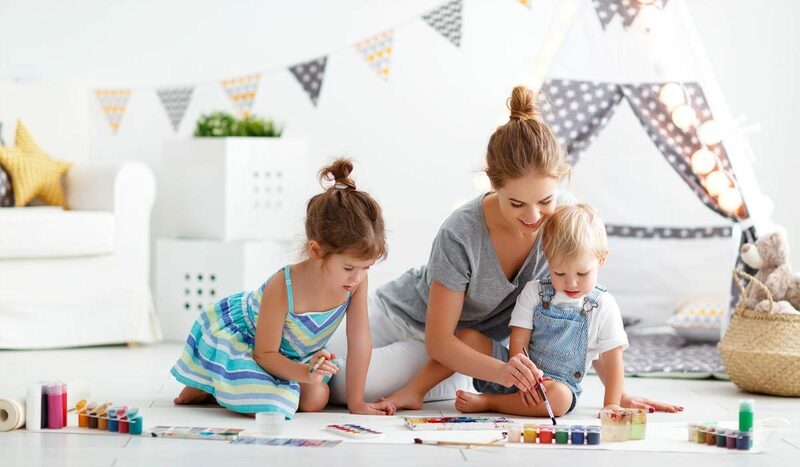 Motivate your child to do these exercises with baby toys—ideally with sounds such as squeaks or rattles, or with bells—which they can actively turn over and which are easy to roll, such as grabbing balls. From around the fifth month, babies start to discover the principle of cause and effect. They love dropping things and watching what happens. Their hearing is also becoming more and more acute. 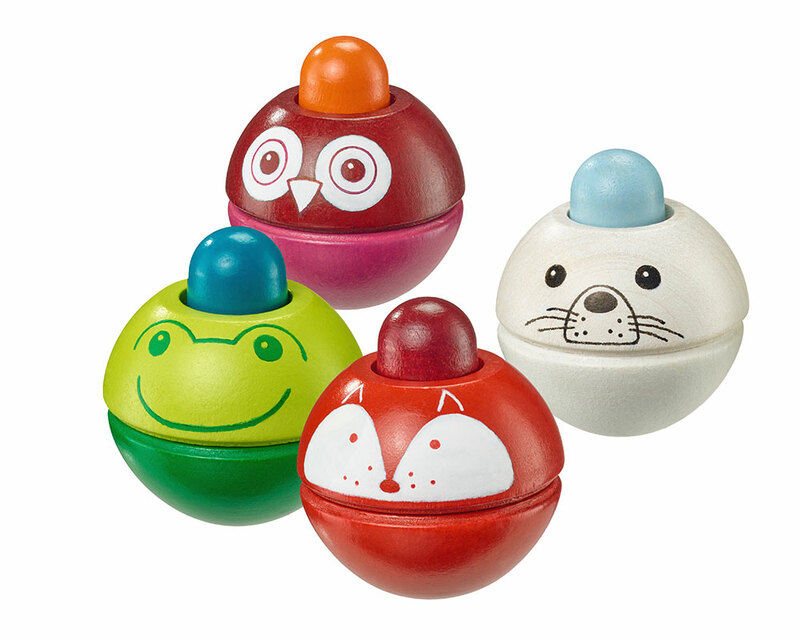 This means that baby toys which rattle or squeak are of particular interest. In addition, your child has now started to understand their name. Check this out by calling them when you are out of their field of vision. They will instantly turn towards you. 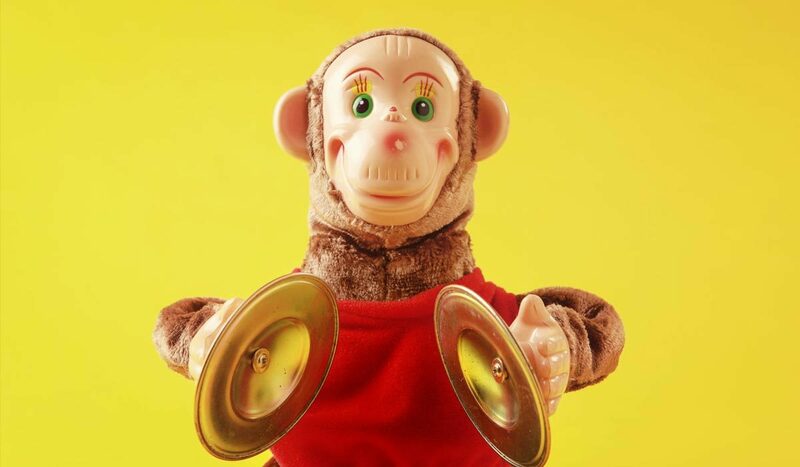 Toys with noises for babies: what should you be aware of? When do babies start doing what? 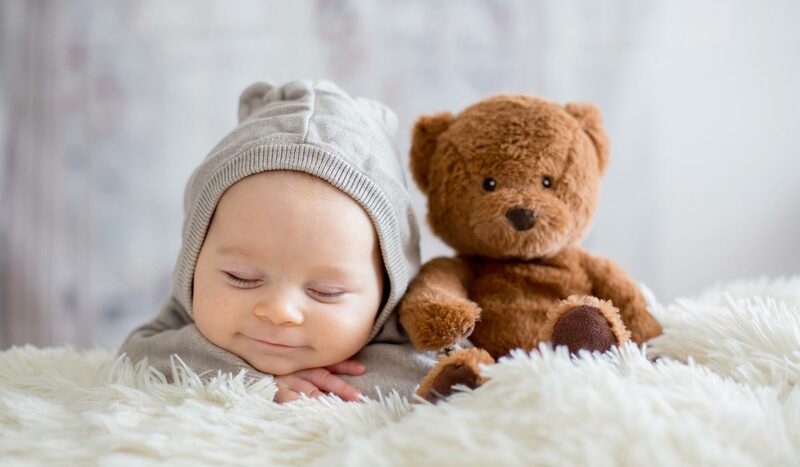 Dieser Beitrag wurde unter Advice, Tips for babies 0 to 6 months abgelegt am 18. Juli 2018 von Basti.